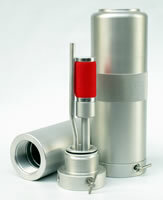 Identified by L-XXXX serial number stamped on the filter unit or separator. M034033 – Series 45 Element for Coalescing Separator. For use in a Coalescing Separator at the first stage of filtration, removing the majority of oil and water, enabling efficient filtration in subsequent disposable cartridges. H015039 – Series 45 Standard Disposable Cartridge. Contains: Silica Gel, Activated Carbon and Molecular Sieve. H015050 – Series 45 CO Removal Disposable Cartridge. Contains: Silica Gel, Activated Carbon, Molecular sieve and Hopcalite. H015055 – Series 45 100% Activated carbon Disposable Cartridge. Identified by LB-XXXX serial number stamped on the filter unit or separator. M021135 – Series 50 Element for Coalescing serparator. For use in a Coalescing Separator at the first stage of filtration, removing the majority of oil and water, enabling efficient filtration in subsequent disposable cartridges. H035712 – Series 50 Standard Disposable cartridge. Contains: Silica Gel, Activated Carbon and Molecular Sieve. H035720 – Series 50 CO Removal Disposable Cartridge. Contains: Silica Gel, Activated Carbon, Molecular sieve and Hopcalite. H035730 – Series 50 100% Activated Carbon Disposable Cartridge. Identified by LC-XXXX serial number stamped on the filter unit. H036107 – Series 50L Standard Disposable Cartridge. Contains: Silica Gel, Activated Carbon and Molecular Sieve. H036120 – Series 50L CO Removal Disposable Cartridge. Contains: Silica Gel, Activated Carbon, Molecular Sieve and Hopcalite. H036130 – Series 50L 100% Activated carbon Disposable cartridge. 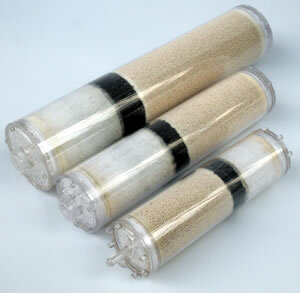 H036132 – Series 50L 100% Molecular Sieve Disposable cartridge. Identified by LD-XXXX serial number stamped on the filter unit. H034153 – Series 50XL Standard Disposable Cartridge. Contains: Silica Gel, Activated Carbon and Molecular Sieve. H034158 – Series 50XL CO Removal Disposable Cartridge. Contains: Silica Gel, Activated Carbon, Molecular sieve and Hopcalite. H034155 – Series 50XL CO Removal twin pack. Labelled A and B, functions as a single filter process in applicable triple systems. Contains: Silica Gel, Activated Carbon, Molecular sieve and Hopcalite. H034159 – Series 50XL 100% Activated Carbon Disposable Cartridge. H034167 – Series 50XL 100% Molecular Sieve Disposable Cartridge.